Online reviews can be a powerful form of ‘social proof’ for law firms. In fact, while online reviews can make a difference in whether a prospective client contacts(and hires) a given firm, they can also play an important role in terms of search engine optimization (SEO) – particularly when it comes to local search. A substantial number of people look at and trust online reviews. Some studies have revealed that nearly 9 in every 10 people rely on online reviews when they are trying to figure out whether to patronize a local business. 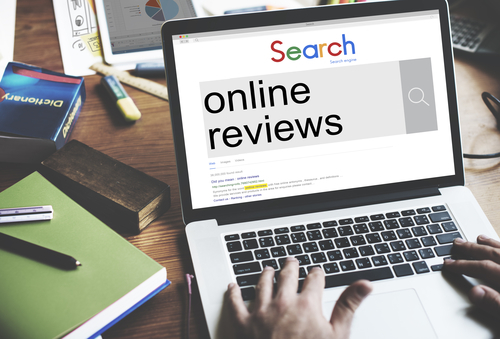 Good online reviews can enhance the ‘authority’ of a given site in a local search, effectively making a business more ‘visible’ to Google’s algorithms (and that, in turn, can promote better rankings). So, now that it’s clear why online reviews matter and how they can help enhance the visibility and rankings for a law firm’s site, here are some effective ways to inspire clients to post online reviews for your firm. Asking for a review when clients are in your office – During a final meeting with a client, simply ask him or her to write a review for you and/or your firm online. Having printed up instructions available to hand out to clients (like instructions on where to post, what to describe in the post, etc.) can be helpful. Making a review request on a bill or receipt – Somewhere on your bill or the receipt provided to clients, include a brief request for an online review. This request can include some compelling language, such as “share your experiences with our firm online by posting a review” or “a good way to thank us for our services is to write a review for us online,” followed by brief instructions on how (and where) to publish these posts. Sending an email or letter asking for a review – If you regularly send out newsletters or other correspondence to former and/or current clients, include a request for online reviews in these points of contact as well. Even if you have asked clients for reviews in other forums (like in your office or on receipts), following up in a non-intrusive way is a good idea (because people may forget about the initial or previous request). Asking for reviews via social media – Every now and again, post a request for online reviews on your firm’s social media pages. Here, just make sure that you aren’t overdoing it with these requests (as that can be turnoff to your online audience and may end up having the opposite effect – i.e., disengagement and no response to your call-to-action for reviews). Offering an incentive to clients who write reviews – In some cases, entering reviewers into a raffle or contest that they can win some prize from can be a helpful way to get more people to complete and post reviews for your firm. Setting up a Reviews landing page on your website – This page can include instructions on how (and why) to post reviews, as well as links to your various review pages online. Other types of review sites, such as Yelp. Having positive reviews across multiple third-party sites can show Google that reviews are coming from satisfied clients (rather than be targeted or solicited). This can also be stronger social proof for users who are deciding whether to contact or retain a specific firm. When less positive reviews are posted about your firm, be sure to follow up and/or respond to the poster (if possible). For instance, if former client posts a negative review on social media, adding a thoughtful, concerned response (asking about their experience and trying to resolve the issue) can mitigate the negative review while showing other users that you care about their experience and resolving any issue(s) clients may have with your service. When you are ready to realize the best results from your law firm’s website, contact the professionals at Epic Web Results. We are up to date with the latest advances in Internet marketing and law firm SEO best practices, and we are highly adept at developing custom attorney marketing solutions that can help law firm’s sites soar to the top of search engines. To learn more about our customized, innovative Internet marketing solutions, contact us by calling (800) 501-9724 or by emailing us using the contact form on this page.